As half-ton pick-ups became lighter in the quest for increased fuel efficiency, half-ton truck owners have struggled to find a rugged hard-working snowplow that meets today’s vehicle weight requirements. Until now! The HT Series snowplow is a full-size, full-featured snowplow, made just for today’s lighter half-ton pickups, so you can plow your property yourself. 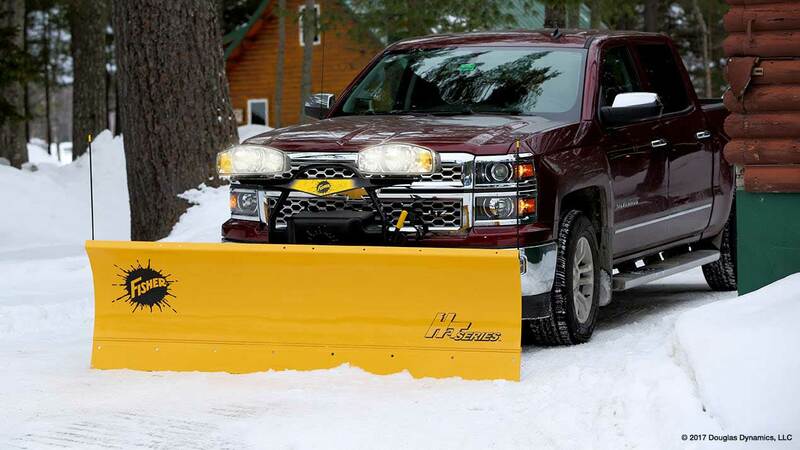 As half-ton pickup truck manufacturers reduce vehicle weight in their quest for increased fuel efficiency, snowplowers struggle to find a legitimate, rugged, hard-working plow that matches their vehicle specifications. That's why Fisher developed the sleek new HT Series. Targeted specifically for today's half-ton 4WD pickup trucks, the Fisher HT is a full-size, full-featured snowplow with the strength to handle standard-duty commercial, institutional and extended-use home-owner applications. And since it's built by Fisher, it's backed by a 60-year heritage of top product performance and unmatched customer loyalty. The proven Minute Mount 2 System - It's simple, reliable and fast with a handy push-bar that makes mounting even even easier. Features multiplex electrical technology and provides 100% fleet interchangeability with existing Minute Mount 2 mounts. Covered hydraulic system provides protection from the elements. Exclusive scrape lock feature hydraulically locks the blade down for clean scraping action. The original trip-edge design. Only the edge of the blade trips back when encountering an obstacle. INTENSIFIRE halogen headlamps for a smooth, wide beam pattern that illuminates the entire plowing surface. 6 vertical ribs and a full-length horizontal tube provide extra stability and strength to the core of the blade. 75 degree attack angle provides improved scrapping and better back-dragging. 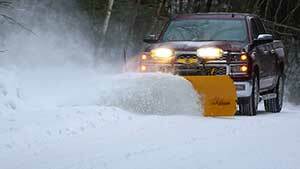 15 1/2-inch curl radius improves snow rolling action. Control options include the hand-held Fish-Stik or a compact joystick control. 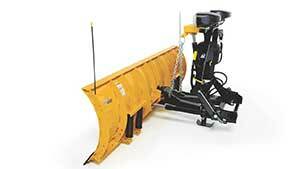 Optional accessories include 3/8" and 1/2" steel or 1" poly cutting edges, cast iron shoes, curb guards, rubber snow deflector and poly SnoFoil. 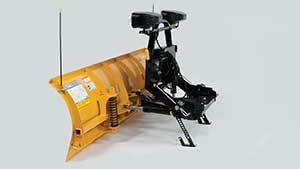 The Scrape Lock feature hydraulically locks the blade down for cleaner scraping and back dragging performance.